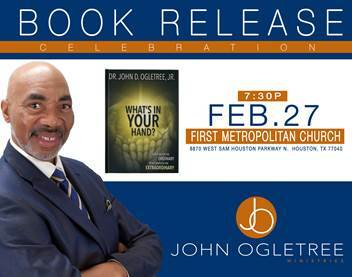 Today is an EXCITING day because it is the launch of Pastor O‘s NEW website www.johnogletreeministries.com! To celebrate the launch of the website and the new release of his upcoming book “What’s In Your Hand?”, he will be highlighting a series of guest bloggers! Check out today’s blog by Dr. Cynthia Carter of WUTS Ministries! This entry was posted in Uncategorized and tagged John Ogletree, Pastor O, Website, whatsinyourhand, WUTS Ministries. 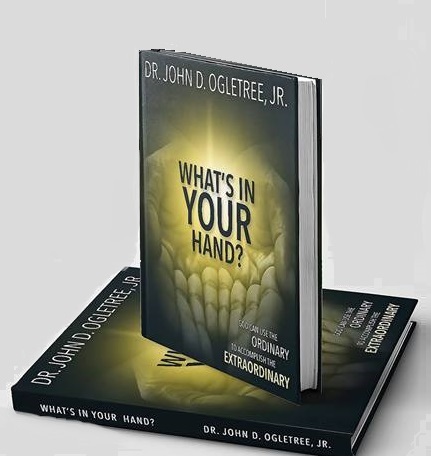 Celebrate with us; our Pastor’s latest book release, “What’s In Your Hand?”. This book will change your life! It’s time we use what’s in our hands!